Testosterone booster supplements don’t work. Nope – Tribulus Terrestris doesn’t even work. 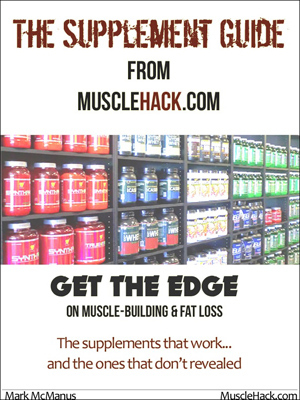 By the way, I cover all the supplements that work and don’t work in my FREE supplement guide! Get it before you read on – it’ll save you a ton of money! Getting enough of the following and combining it with resistance training can jack up testosterone levels by whopping 25%! That’s going to mean more muscle! Amazing news for us natty lifters. 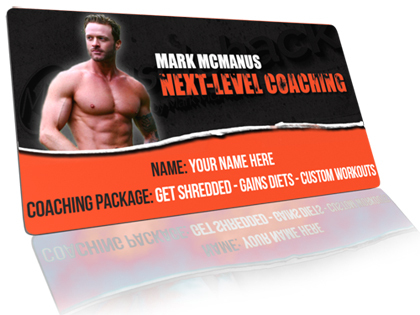 By way, click here to get my free THT workout for the fastest gains possible. Keep reading. I’ll give you the proof and tell you how much to take. First of all, understand that around 85% of Americans are not getting enough of this! And it’s worse for lifters. Sweating causes us to lose even more. Scientists took 30 males aged 18-22 for this study. They separated them into 3 groups. Researchers measured testosterone levels in all 3 groups (both at rest and after exertion) before and after the 4-week study. But adding intense exercises (group 2) raised it even more…a 25% increase. 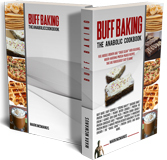 I would stress that this is not only valuable for when on a gains/bulking cycle. 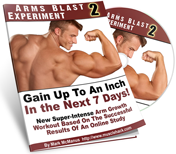 But now we have a new weapon in our arsenal to prevent muscle loss, if not actually promote new gains, while on a cutting diet to get shredded. Ok, so how much do you need? The recommended dose for “regular” people is 4mg per kg weight. 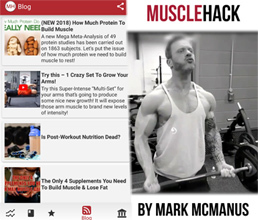 But as stated earlier, lifters are going to need more…and they took 10mg/kg in this study. Let’s say you weigh 180lbs. That’s 82kg. 82 x 10 = 820mg or less than 1g magnesium per day for optimal results (divide pounds by 2.2 to get kg equivalent). Strictly speaking, you don’t need supplements to get the job done. I made a list of high-magnesium foods and benefits in this post. 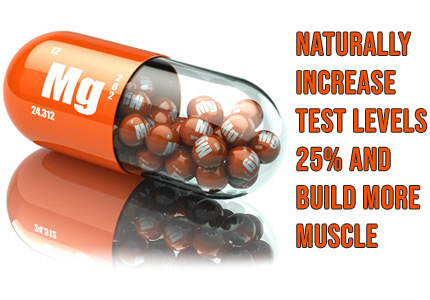 However, a simple Magnesium or ZMA supplement will really do the trick! I found a dirt-cheap one on Amazon – just $6.99 for 180 caps and they’re 500mg per cap. 2 per day for 1g magnesium would last you 90 days or 3 months. That’s really good! Its a shame Trib gets such a bad rap. Here are the pros and cons for me. PRO: It increases libido- not complaining. It sure as heck makes me “want it” everyday- still not complaining. It produces firmer and harder erections- every bit helps. Surely some of that testosterone is put to good use at the gym helping to build muscle. CONS: Having to cycle off it every other month. If it did have a direct hit on building muscle, i would look rock hard all day- excuse the pun. I use the powder not the store bought capsules. Hi Mark. I’ve been taking magnesium supplements for about 3 years now which I credit for curing my atrial fibrillation. Magnesium has numerous other health benefits – just google “health benefits of magnesium” and you’ll be amazed. Plus it’s claimed that with depleted soil our food doesn’t contain the magnesium content that it once did, so it’s probably good to take a supplement. One word of caution. Magnesium can cause diarrhea, especially the cheaper form you referenced, which is magnesium oxide. Plus I read that magnesium oxide is not as bio-available as other forms of magnesium, such as magnesium glycinate. Losing the nutrients consumed in your food down the toilet from diarrhea would be counterproductive to your muscle gaining goals. As always, really appreciate you opening our eyes to new studies relevant to overall fitness.